A thousand dollars and a thousand acres is all it took to endow a school 225 years ago. Today the endowment portfolio is made up of more than land and cash. Chief Investment Officer Paula Volent identified private equity portfolios as a key driver of Bowdoin’s strong returns. According to Volent, in recent years, the College’s investment managers have turned their focus toward growing industries such as e-commerce and emerging markets such as China. Investments are selected at the discretion of managers. “We’re trying to keep ahead of the destruction of old industries with new technologies,” Volent said in a phone interview with the Orient. 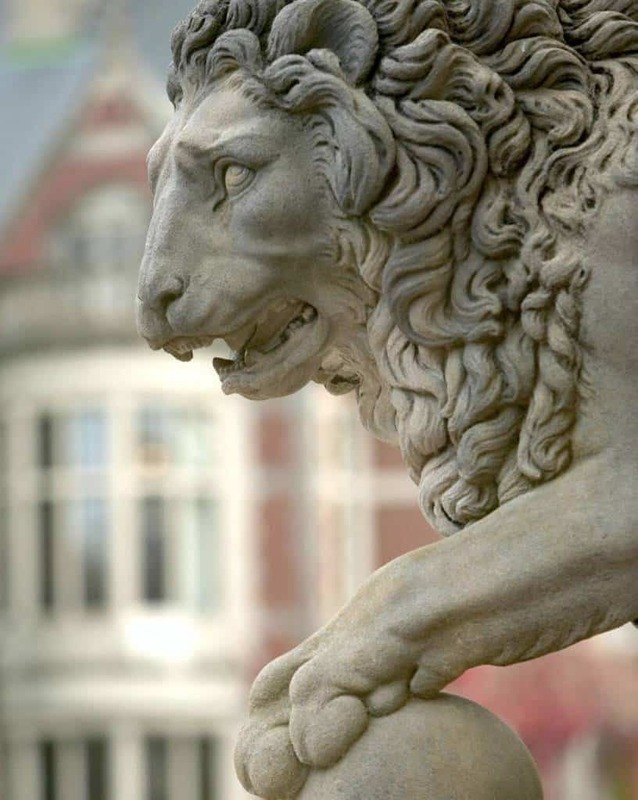 One of two lions standing guard at the entrance of the Bowdoin Art Museum.